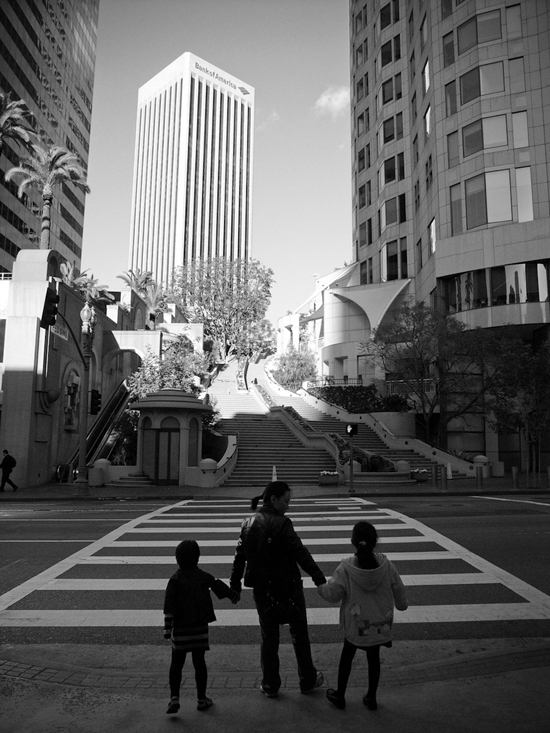 A very nicely composed shot of pedestrians for today’s photo, taken near the stairs leading to the library in downtown L.A. Reminder: tell us what kind of mobile device you use. Wow, this is an amazing picture. It is so artistic. I love the black and white. These are the Bunker Hill Steps. They are across the street from Central LIbrary, not necessarily leading TO the library. Not to nitpick, but because I feel it’s important to correctly identify some of the beautiful features of our city that are reachable by Metro!